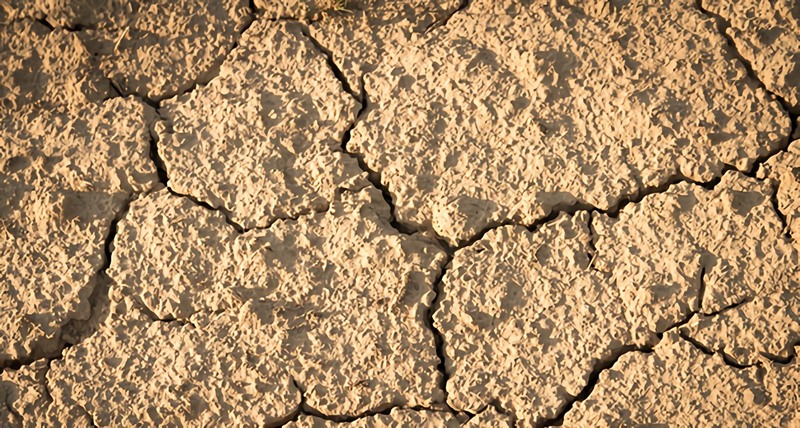 Since 2010, the Southwest has been plagued by a severe drought, which adversely affects water and energy resources, reports the United States Drought Monitor. This need for water conservation brings to attention the importance of “green” technologies in HVAC systems. HVAC can account for 10-25% of a building’s water consumption, depending on building type, size, and geography. The implementation of certain “green” standards in HVAC systems could save consumers $10 billion annually, according to Heating, Piping, and Air Conditioning Engineering. As more people transition to environmentally-friendly HVAC systems, HVAC technicians will have a vital role to play as qualified personnel versed in water conservation technologies. Below are six drought management solutions that seek to curb the water usage in HVAC systems. As an AC unit operates, air moves past the cooling coils, and this results in the condensation of water vapor on the coils. HVAC condensate water, as it is called, may be reused if it has not come into contact with any other sources of greywater, states TanksDirect. BuildingGreen explains how this condensate is almost completely pure if the coils are properly cleaned and kept free of debris. Usually, the condensate is drawn off into sewer lines, but it can also be reused for other purposes, such as filling toilets, fire sprinkler system reservoirs, or irrigation. To fully optimize a home or business to reuse AC condensate, an HVAC specialist must reroute the condensation lines from the system to a reservoir. HPAC Editorial Advisory Board member Larry Clark points out how HVAC systems are among the highest-water-consuming entities on the planet. Specifically, he shows how a 300-ton HVAC cooling-tower wastes approximately 12 to 13 gallons of water each minute through cooling-tower blowdown. Cooling towers are, by design, water-wasters, since they rely on water evaporation to keep air conditioning or process equipment from overheating. Blowdown is when, during this process, the remaining water becomes more concentrated with minerals, salts, or other dissolved materials after evaporation. When the water reaches this point, instead of discarding this mineral-heavy water, a more sustainable solution is to reuse it for irrigation purposes—where dissolved minerals or salts will not affect the natural environment, that is. Rather than simply continuing to deal with wasteful cooling-towers in water-cooled AC systems, some businesses, especially those with large cooling systems, have made the decision to switch to air-cooled AC systems. HPAC Engineering lays out how this approach removes the concern over how the concentrated blowdown water might negatively alter the surrounding environment. Air-cooled AC systems can be designed to use energy from the sun through solar technology or power fans located in the system. Greywater Action describes how greywater cycles use reclaimed water from sinks, faucets, and drains. Unlike blackwater, greywater has not previously been contaminated with feces or urine. However, it may contain food particles, soap, grease, or other substances, which give it a “dirty,” grey appearance. While greywater can be used for a variety of applications, it is most often used for watering outdoor landscapes. In HVAC, greywater heat recovery combines a heat pump with municipal sewage lines to allow large buildings to recycle the water flushed out of residential and commercial structures. The aforementioned AC condensate is also a form of greywater that could eliminate the need for fresh water supplies for HVAC purposes. BuildingGreen reports some buildings have started treating wastewater (also called blackwater), which includes anything from the sewer line, for use in irrigation or toilet flushing. One building called the Solaire in New York City was the first to reuse 100% of its wastewater. Citywide wastewater may also be treated similarly. In fact, California has implemented mandates for using reclaimed water for toilet or urinal flushing. The introduction of advanced safety monitoring standards will drive wastewater treatment further, potentially also in connection with HVAC systems. As society grows more concerned over diminishing water resources, more advanced, less wasteful drought management approaches become more highly valued. From choosing to use reclaimed greywater for water heating to transitioning from water-cooled to air-cooled AC systems, new technologies in HVAC can help combat declining water supplies and facilitate more sustainable water use.